which means for part of the year there are no animals! and flew away. That is just the way it is. watch an ant colony live as members do their duties thinking they are unwatched. Watch them go live as their colony thrives. African Black Eagle Live Webcam – Roodekrans, South Africa. 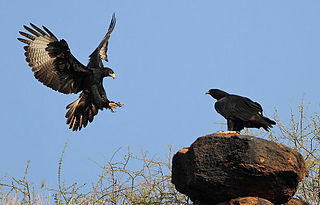 Their official name is Verreaux's Eagle. Watch and listen 24 hours a day! To learn more about these eagles, go to Avian Web or Wikipedia. Alaska Department of Fish and Game Virtual Wildlife Viewing Stunning! Sets the standard! Trail Cams has about a hundred candid shots of animals close up using motion-triggered cameras! Photos like the bear, here! Outstanding! Webcams : "Tiny remote cameras, called webcams, can relay live, up close, and intimate scenes of wildlife onto the internet and your computer. Various agencies and organizations in Alaska have set up webcams to watch the sights at inaccessible or remote sites like the brown bears at Brooks Falls, seabirds on tiny Gull Island, Steller sea lions near Seward, the bald eagle council grounds in Haines, and the inside of a beaver lodge and a salmon run near the Mendenhall Glacier." 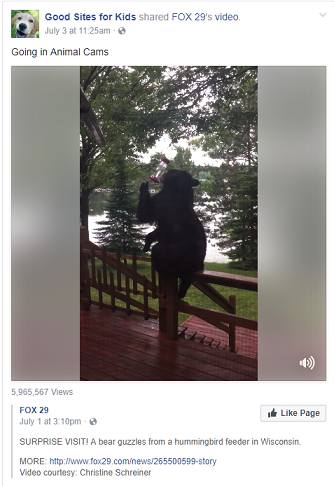 Video clips: Bird videos, fox videos, AND...bear videos! Plus - "A Bear’s Eye View, A Day in the Life of A Bear is a 13 minute compilation of a day’s worth of video." Wow! Alessondra's OKC Great Horned Owl-Cam Is back, with streaming video and millions of viewers! This is neat! A Great Horned Owl nest in a planter box outside a second story window! Very popular, the camera is right there but the owls don't seem to mind. Alligator CritterCam Go along with a gator as it hunts for food. CritterCams show alligators to be skilled underwater hunters. Watch and learn what they eat and how they live. 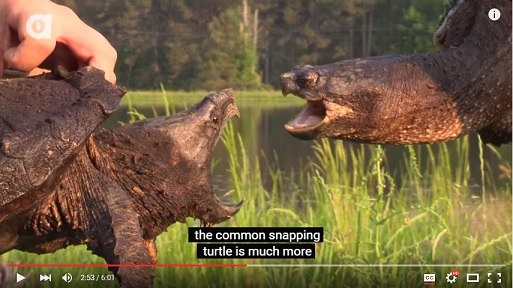 Alligator Snapping Turtle vs Common Snapping Turtle One is a roamer: fast, aggressive, and has major attitude. 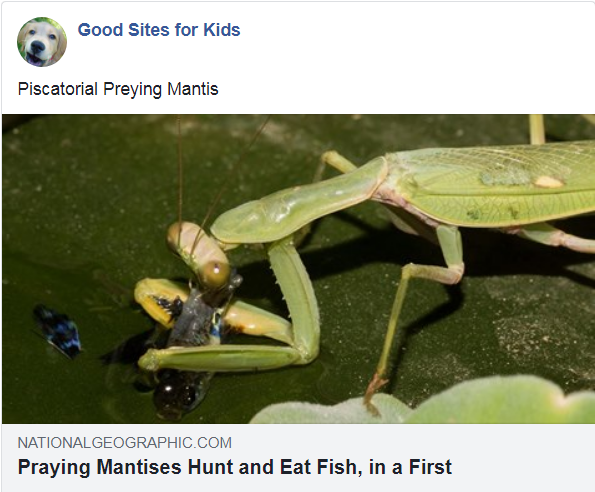 The other is an ambush predator: slow and patient, with one of the strongest bites on Earth. "Bring it, Junior!" "We meet at last, you old dinosaur!" 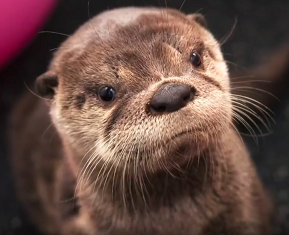 Animal cams from the Vancouver Aquarium! Featuring belugas, jellies, and a sea otter! If you EVER get the chance, go see this place! Animal Cams from South Africa! Here are two sites that seem to work OK. Remember, it's summer in South Africa in January. Webcams at SANParks shows animal cams at different national parks. AfriCam is a private outfit with links to live cams, refresh-cams, and videos! but living up in permanent snow country they are better off being snow colored (white). Look how big he is, and those giant "snowshoe" paws! Audubon Starr Ranch Barn Owls cams from Audubon California's Starr Ranch Sanctuary. Baby elephant learns to use her trunk in this short video. Well, sort of learns. She's just a baby! Baby owl and toy sing Monster Mash 1:15 video from an owl rescue facility. Baby owl sings along to this Halloween favorite. Why the head bobbing? This Is Why Owls Bob Their Heads explains it all! 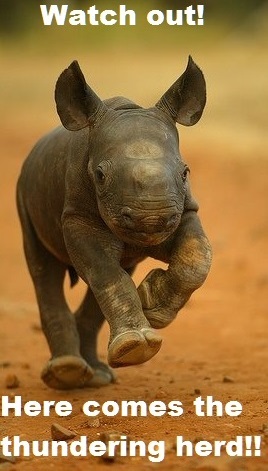 Baby Rhino’s Trot Will Make You Smile! Species Centre at only a month old, the young bull Matimba had lost his mother to poachers. into his new home. Watch as Matimba bravely takes a walk with one of the centre’s staff. 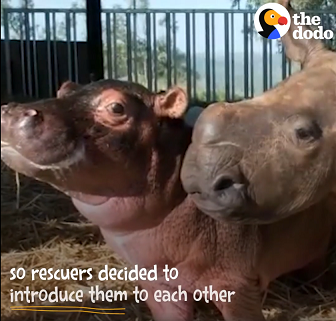 he was rescued by a rhino orphanage and became best friends with a little rhino. snuggles with his favorite rhino!" From Odd Couples on Facebook. 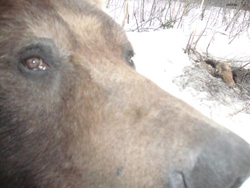 Bear Cam with Lily the Bear, along with Faith, and “Jewel of the Northwoods”. From the Wildlife Research Institute in Ely, Minnesota. 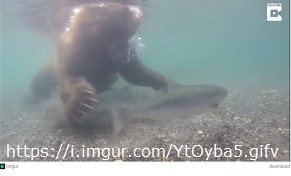 Bear Cam at Brooks Falls, AK The salmon run - the time when salmon, which have migrated from the ocean, swim to the upper reaches of rivers where they spawn on gravel beds. This is a major event for many predators, particularly for bears which gather in great numbers to feast on the salmon. A live stream has been set up in Katmai National Park, Alaska so you can watch the bears live. Berry College Eagle Cam from Georgia DNR. 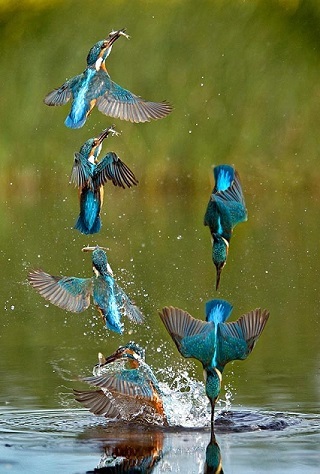 (ornithology is the study of birds). Bison Cam at Plains Bison Water Hole "Bison are the largest indigenous land mammal on the North American continent. Considered a keystone species, these wooly herbivores helped shaped the ecology of the Great Plains today. 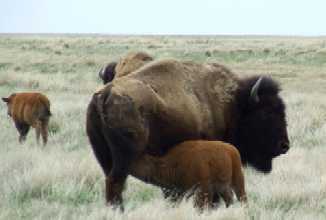 At least 80% of Canada's native prairie has been lost, yet at Grasslands National Park there is a flourishing herd of plains bison that freely roam their native prairie." Bubble Net Feeding Watch humpbacks team up to herd and feast on bait balls of herring and other small, schooling fish. Those little parakeets in bird cages? Welcome to their REAL world! Cheetah with a GoPro from the Cincinatti Zoo. "The video shows Savannah running at full speed and in slow motion. 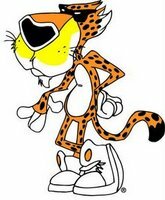 The unedited footage is erratic and incredibly shaky, but the slowed-down video shows how the cheetah’s head stays generally still while running, even if the rest of the body is jerking around." 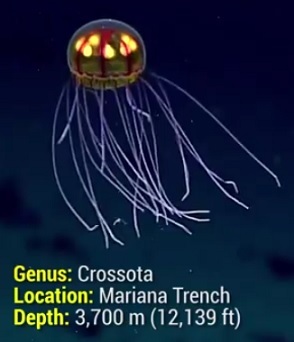 Creepy Desert Creatures! a Brave Wilderness episode, one of a series. Coyote Bob Peterson with his cute, hyper, eight year old daughter Pup, and the crew visit Tucson, Arizona to discover some Creepy Desert Creatures! And find them they do, in this 22:30 Youtube offering! Watch the team as they examine: a giant desert centipede, a tarantula, an anthill of red ants, a solpugid (camel spider), finishing with a giant desert hairy scorpion under a black light which appears quite scary. Next the team checks out a Western Banded Gecko who's out hunting, (like everybody else in this video)! Next. they find a Spadefoot Toad. Then, at last, a Western Diamondback Rattlesnake! Hyper Pup is not allowed to approach, but takes it in good grace. There are dozens of these videos for kids to watch! DNR EagleCam from Minnesota DNR. "Live...from the eagles' nest!" Decorah Eagle Cam from the Raptor Resource Project. This is the famous one from Iowa. Enjoy! and Vero Beach, Florida. Spoiler alert: several brave surfers and manatee family also make an appearance ?? Eagle Cams from Hancock Wildlife in British Columbia. Three live webcams of bald eagles' nests with eggs and chicks! They also have a Biology Reference section with information about bald eagles and their nesting habits. Obviously these are seasonal. 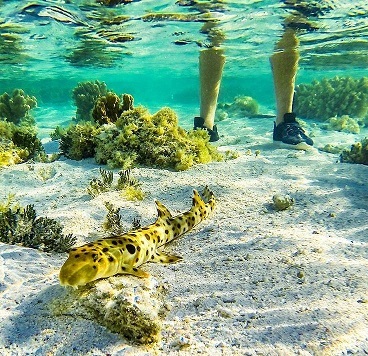 Epaulette Sharks can walk on land! As shown in this 2:09 Youtube video. 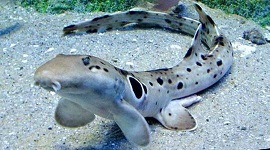 These harmless 2 to 3 feet long (27 - 35 cm) sharks are bottom feeders. Vancouver Aquarium. Scroll down to see more cams. features the inside of a cub's mouth as it tries to eat the camera! of candid polar bear photos from Churchill, Manitoba. Fish eggs (called "roe")! The yellow spheres are the egg yolks. The silver circles with the black dots are the babies' ("frys") eyes. These an aquarium fish of the Cichlid ("sick-lid") family (Cichlidae). Cichlids live in Africa and South America. little fish! Fun to watch. Float Like a Dragontail Butterfly..
swallowtail butterfly and one of the very few species with wing transparency. 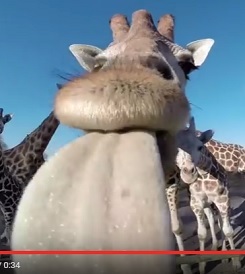 Giraffe licks a GoPro! A 20" tongue is good for tearing off leaves. Goldfish Videos This site is a place for fanciers of exotic goldfish post videos of their prize fish. They're all cool to watch and some are quite beautiful. Indexed by variety of goldfish. Great Horned Owl nest cam from TheRainForestSite Blog. Two little owlets and their parents. Nice camera closeups. Great White Naps for First Time on Camera LINK REPAIRED "A robotic submersible captures the first-ever footage of a great white shark napping. From Shark Week 2016’s 'Jaws of the Deep.' " "The shark was seen swimming face first into a 3 km/h (1.8 mph) current near the bottom of the shallow seabed, in order to help oxygen-rich water flood over its gills with minimal effort. It also has its mouth gaped open and appears to be in a still, almost catatonic, daze." Watch the video for yourself and see what you think. From a longer video on Discovery Channel's Shark Week. 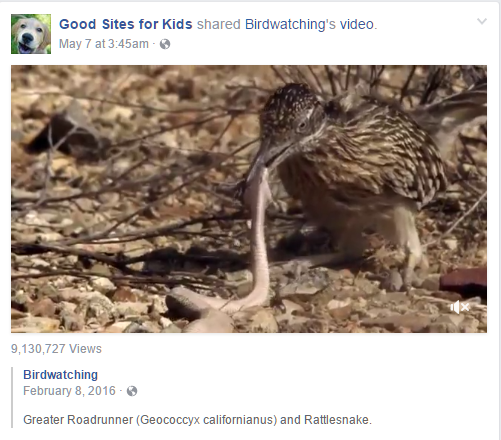 ABC Helps Hummingbirds American Bird Conservancy 1:25 video. 1 million acres. With your help, we can do more." Beautiful photography. Hummingbird Convention A very short video posted on Facebook by 95.7 KJR. "NO WAY! 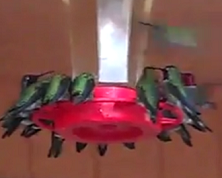 How can you get so many Hummingbirds together? Anybody know? (crank your speakers up and listen to the sound) AWESOME!" 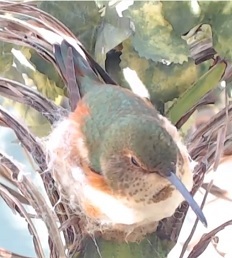 Hummingbird webcam Channel Islands Allen's Hummingbird live nesting webcam. It's great watching these tiny birds! 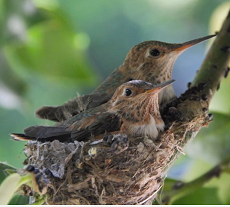 We hope dear Phoebe's descendants keep nesting! This is the Bella nest cam. a lady in Two Harbors, Minnesota. Thanks, Mary Ann W. L.! Humpback Whales Bubble Feeding Drone Views "Large Group of Humpback Whales Feeding in the Pristine Waters of Alaska. 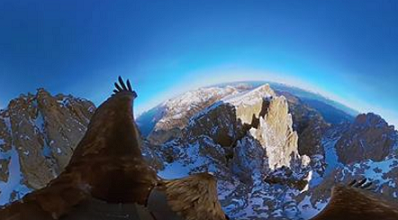 Aerial Drone Footage from Seagull's Point of View." See whales surround herring with a bubble net, then rise up with open mouths to slurp up tons of fish! Video from AkXpro. 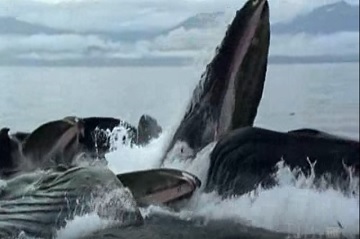 Humpback Whale CritterCam from NatGeo. Watch a real humpback as it swims around and then heads for the bottom. Find out why humpbacks spend so much time down at the bottom of the sea. Humpback Whales in Maui From a Drone Mama and calf swimming around for 2:14. Lots of closeups of them snuggling! Video from Justin Edwards. International Wolf Center The International Wolf Center advances the survival of wolf populations by teaching about wolves, their relationship to wild lands and the human role in their future. Click Learn to open up areas for children (activities and reading), educators, and wolf facts. Meet Our Wolves (under Visit) has bios of the wolves, updated regularly. 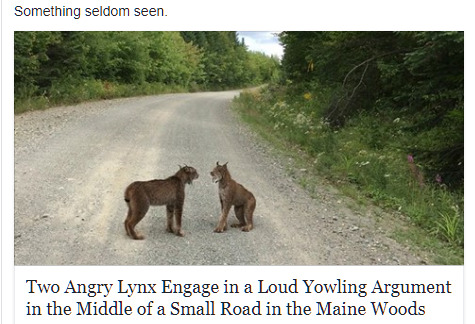 There are also short videos, wolf cams, and photos. posted to Facebook by Daily Picks and Flicks. "A newborn female elephant wandered alone onto the grounds of the Olpejeta Conservancy in Laikipia. young elephant who continues to gain strength every day. Watch her inspiring story!" She is a cutie! in the wild, big cats, meerkats, sloths, elephants, pandas, koalas, rhinos, giraffes, wolves, monkeys, etc. Monterey Bay Aquarium Webcams Seven great webcams of sea creatures! We like them all, but the Open Sea Cam is simply astounding. "See the tree? Let's climb it. Cling to the bark! Do I have to grab your behind and heave? OK, let's try again. and put you against the tree! Get. On. The. Tree! OMG he's climbing it! Oh, good! Better pretend to ignore him and see how he does. I'm staying close, though. This kit has a short attention span. I have mileage invested in this brat, so I am staying put, in case I have to catch him again. There's one in every litter." 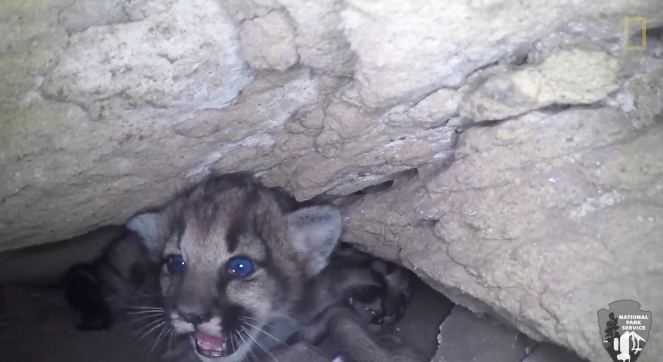 Take a peek at a litter of mountain lion kittens—and prepare for your heart to melt. Nature's Dive Bombers Gannets Plunge into the Sea. Diving into the ocean, the Cape Gannet adopts an aquatic version of flight, an unbelievable sight you have to see to believe. Watch birds chasing sardines, 60'/18m down! Newborn tiger cubs snuggle mom at National Zoo. Two rare Sumatran tiger cubs snuggle and nurse with their mother at the Smithsonian’s National Zoo in Washington, DC, in this short video. The second cub is born at around 1:05 into the video. This video courtesy of The Washington Post. Opossum, Where Art Thou? A two minute imbedded HTML5 video about a 'possum rescue, special because it has plenty of facts about North America's only living marsupial! Osprey Nest Cam from explore.org has a nest full of young ospreys & parents, doing osprey things! Scroll down to go to other live animal cams from all over! Otter pack squeaking and jumping like crazy! It's feeding time! Loudest hungry squeaks evah! It's a cute overload! Tilly soon has her own babies. Watch as she raises them to be competent adults. Great cinematography. 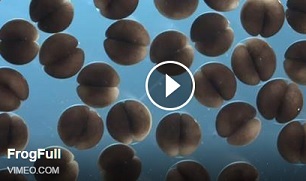 NatGeo has oodles of these videos. Owl Box Molly and McGee, the original Barn Owls, had a nest of baby owls. Watching them raise and feed their kids, eat mice, and do other owley things, was great! We hope more owls use this box in the future. Owl Cams from the Owl Research Institute at Charlo, Montana. Great Horned Owl and Long-eared Owl nest cams. The owls nest starting every April. There's more to this site than the cams. They have whole pages of information about owls in general, and another longer listing of facts for all the owls of North America! Panda Cam from the San Diego Zoo. See live streaming video of giant panda mom Bai Yun and her new baby! Plus updates on the cub and archived videos of the birth! Puffin Cam from explore.org has a ledge full of colorful puffins, doing puffin things! Scroll down to go to other live animal cams from all over! 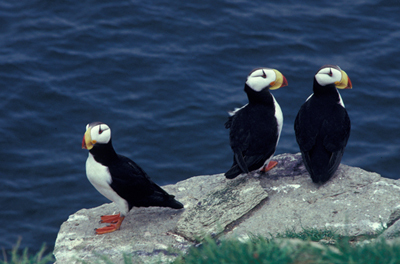 Learn more about puffins and get a printout to color at Enchanted Learning! Penguin Cam at Seaworld, from Discovery Channel. Watch lots of penguins scamper around doing penguin things in this 3:16 video. If you like to see penguins, they've got them! Red Wolf Den Cam from Wolf Conservation Center. See red wolves in their den in New York state. Find out lots more about red wolves here, from Defenders of Wildlife. One genetic study found that the red wolves of today are about 80% coyote. very fascinating. Find out more about them here. Find out about rattlesnakes here. Ryder's Day at the Dog Park Ryder's an American Brittany who likes adventure! Ryder and his GoPro gallop everywhere to the beat of his thundering paws and flapping ears! Ryder goes swimming; then he meets new, interesting dogs, and sniffs them. 3:00 Youtube video. courtesy of viewpure. Whichever you choose, it is spectacular! Sea Lion Crittercam from NatGeo. Australian sea lions are getting a nature preserve! Part of the research was putting CritterCams on sea lions. One cam caught a sea lion preying upon a large octopus! Sea lions take big prey items up to the surface so they can breathe while they eat it piece by peace. Sea lions do this with salmon in Alaska. 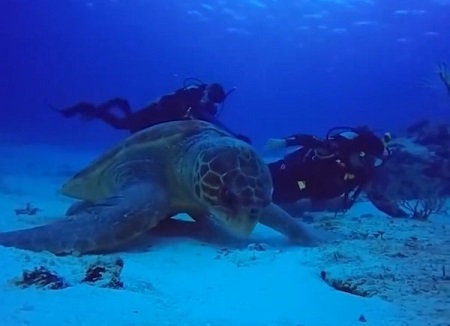 World’s Largest Sea Turtle a short video of a huge sea turtle feeding on the bottom. pictures. The leatherback is the largest species of sea turtle." 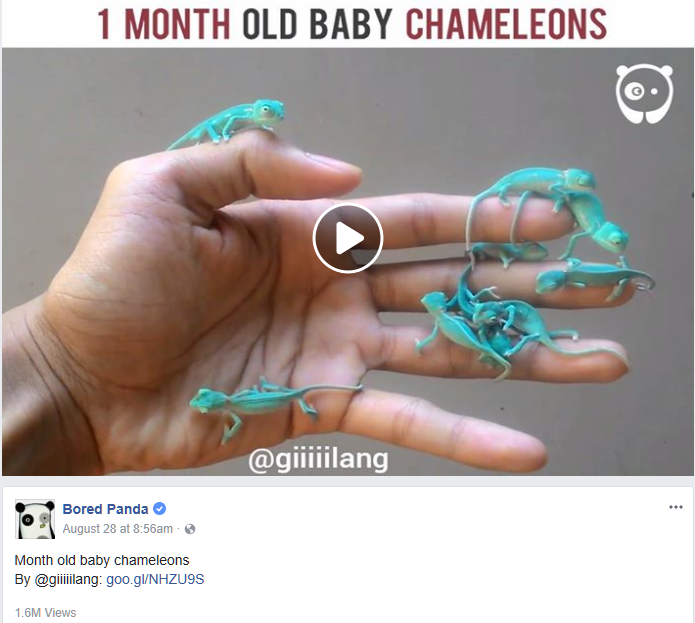 A 3:23 video on the Facebook Science Nature page. are and at what depth. Southwest Florida Eagle Cam Check out mom, dad, and the two tweens on this LIVE cam! Mom and dad commute in and out, the young'uns eat, entertain themselves, and look bored (sounds familiar). They might be back next year, so be patient. The Rainforest Site has a four hour movie of this nest cam here. A squirrel nabbed my GoPro and carried it up a tree (and then dropped it) Looks like the little thief was trying for a selfie and dropped it! Both funny and interesting. Thousands Of Rays Swimming Together "Mobular rays often gather off the coast of Baja. Scientists aren’t sure why they do this, but a recent gathering was one for the record books. Thousands of rays all in one spot swimming together. Watch their amazing gathering in the video below." 2:16 YouTube video. 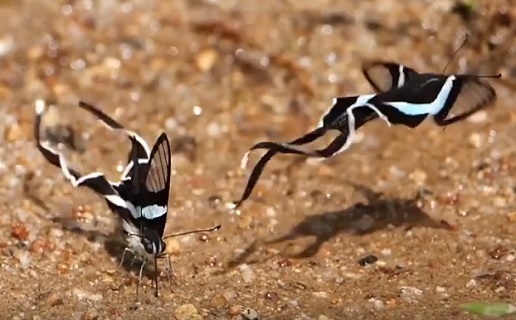 You will love it halfway through the video when they start flying! Tiger Shark feeding frenzy at Shark Bay, Western Australia. Shark Bay is aptly named! This 2:30 Facebook video is titled; "Feeding frenzy at Shark Bay - Tigers having a whale of a time." This is raw nature, 70+ sharks tucking in to the carcass of a dead whale. Some of the sharks are HUGE! The whale fins are visible (they must not taste good). 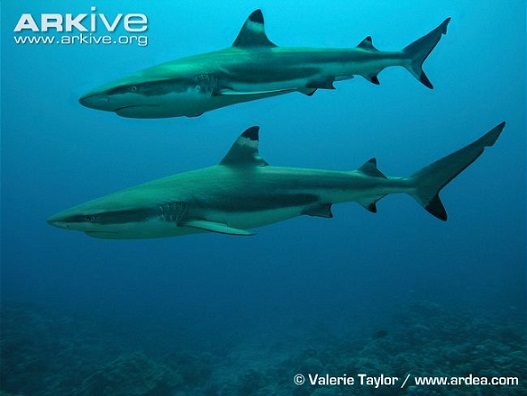 There is also closeup video of tiger sharks. Shark Bay is world famous for its stromatolites, a very ancient form of early life. and make sure you watch it until the very end. It’s such a beautiful reminder that all life is precious." trail cam pics - a Pinterest page. See many more candid, up-close-and-personal pix like this one, from all over the world! Turtle Bay Eagle Cam Redding California - in northern California on the Sacramento River. 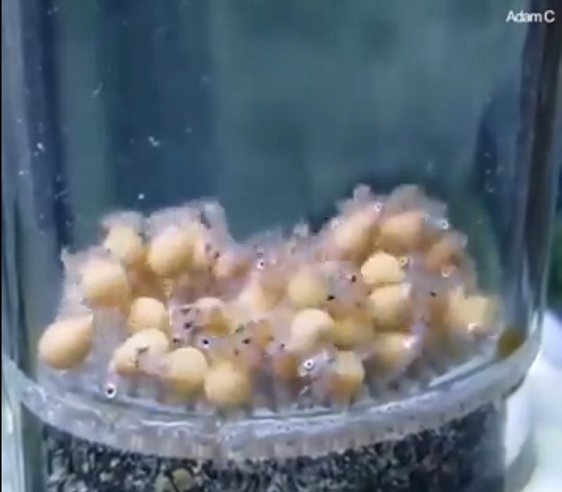 Watch frog eggs turn into tadpoles Watch frog eggs change into tadpoles in this 30 second Vimeo video by Nipam Patel. What goes on when you're not there! The camera records what goes on in the wilds of Alberta when bears, deer, lions, and assorted little critters hang out! Cute! 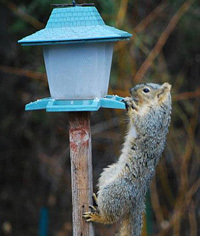 It also shows that there's more wildlife around than you might think! 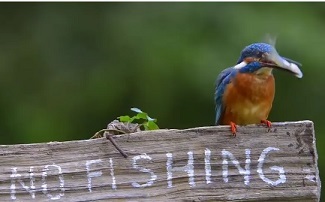 WildWatchcams from the Washington Department of Fish and Wildlife (State of Washington, not Washington, DC). Watch Bald Eagles, Barn Owls, Burrowing Owls, Big Brown Bats, Bluebirds, Herons, Opreys, Salmon, and Seals. Wolf Conservation Center Live Webcams Here are all their webcam addresses on one page. There are cams of gray wolves, red wolves, and Mexican gray wolves. "As participant in the Species Survival Plans (SSPs) and Recovery Plans for two critically endangered wolf species, the WCC acts as caretaker for 5 red wolves (Canis rufus), and 15 Mexican Gray wolves (Canis lupus baileyi). The Mexican gray wolf and the red wolf are among the most rare mammals in North America. Presently there are approximately 400 Mexican gray wolves and fewer than 300 red wolves remaining in the world." Take a good look at these critically endangered animals. Wolf Cubs Howling at James Bay James Bay hangs down from Hudson Bay. The shore is split between English-speaking Ontario (west) and French-speaking Quebec (east). Watch seven wolves howling away for 58 seconds. Some cubs, some more adult-sized. Was this a rallying call? Zoo Cams! This German site has a big list of Zoo Cams from around the world. All kinds of animals, live on camera. Includes several Panda Cams and the Giraffe Cam at Cheyenne Mountain Zoo. ZuluCam "Live pictures of the worlds largest African elephants." Live Video feed from Tembe Elephant Park, Kwa Zulu Natal - home of the Zulus! Good views of the animals when they come down to the watering hole. Right now there's thunder and steady rain. Good Sites! 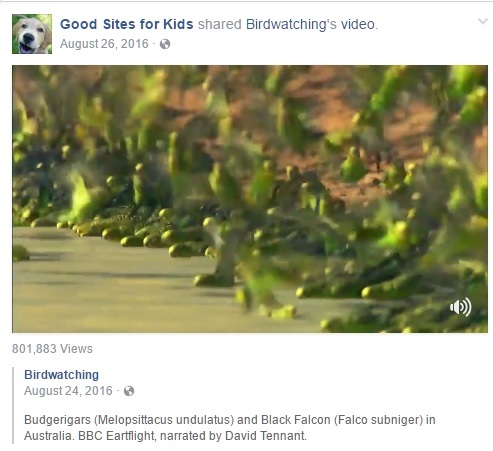 Good sites for kids. Good sites for teachers. Good sites for parents.Good education sites for all.